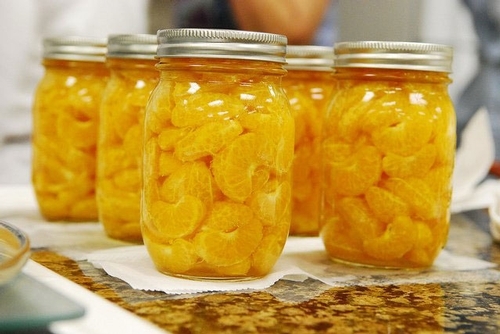 Due to a renewed interest in food preservation, Cooperative Extension will bring back the Master Food Preserver (MFP) program to Los Angeles County. Classes will begin on Monday, March 28, and meet every Monday until June 20, 2011. Conducted at UC Cooperative Extension office in East Los Angeles, the classes will be led by UC Master Food Perserver Ernest Miller, a formally trained chef. Miller has years of experience with home food preservation and is the chef at The Farmer's Kitchen, a project of Sustainable Economic Enterprises of Los Angeles (the nonprofit organization that manages eight farmers markets in the Los Angeles area, and includes LA's largest market, the Sunday Hollywood Farmers Market). Participants will learn how to can, ferment, pickle, cure, smoke, dehydrate and brew. "As the sole Master Food Preserver in Los Angeles for more than a year, I know that there is a tremendous interest in traditional methods of food preservation," said Miller. "We also teach people skills on proper emergency food preparation. The immense tragedy taking place in Japan illustrates the need for people to learn how to prepare for natural disasters in earthquake-prone California," he added. 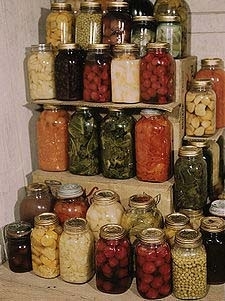 Once trained, the Master Food Preservers will conduct food preservation workshops for the general public. The response to this program has been tremendous. Many preservation enthusiasts are looking forward to MFP-led workshops and are hoping to become certified MFPs in the future. Support for the Master Food Preserver program is provided by the Metabollic Studio, a direct charitable activity of the Annenberg Foundation. For more information, please contact Brenda Roche at (323) 260-3299, bkroche@ucdavis.edu.